we are not equipped to understand, interpret and apply knowledge from the data explosion as effectively as we would like. Prominent among the discussions is that there is something tangible and intuitive to most people (especially those without advanced scientific degrees, like me) - one's family history is a factor in what will happen to us and our progeny. Evidence is being delivered regularly (JAMA and NEJM) that supports self-reported family history as a more reliable method for classifying risk expectations than the evidence being generated by genome wide association studies. Dr. Collins reports that it is "the cheapest genetic test" on the market today in his book, "The DNA of Life," and is generally useful, even promoting the use of the Surgeon General's tool that we developed. While Nicholas Wade in the NY Times indicated that family history is old-fashioned to support his assertion that genomic progress has been too slow, we'd contend that it's a component to inform clinicians, researchers, and the general public today. Even when (if?) genetic factors become more useful, family health history should always be taken into account and be made part of the equation. 5AM's mission is to make the web the place where life science professionals work and succeed (and exposing failed ideas as fast as possible counts!). 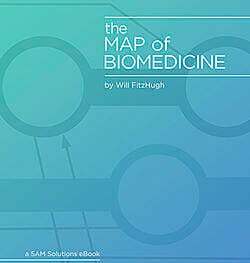 We have tackled issues such as those suggested by the lack of quality of biospecimens or associated clinical data (see Wired's Libraries of the Flesh), bringing together geographically disparate, multi-disciplinary teams and companies around a common problem (supporting the Ivy Genomic Based Medicine effort from a workflow as well as computational perspective), and making the data academics are creating readily sharable. Of all the challenges in the life sciences, there is not one root cause and no single company, agency, or institution that will be able to "solve it." What seems incredibly clear to us, and we don't think we're alone, is that tackling small pieces of the problem can be more valuable, and deliver results more quickly, than waiting for the revolution to take over. Incremental change that brings education, information, and technology into the hands of clinicians and researchers and the people and patients they serve, is worthwhile. Improving human health will be a long journey, but we look forward to joining with our colleagues and partners in making incremental and effective steps forward. Making a more informed choice today than yesterday is the value we seek to deliver.